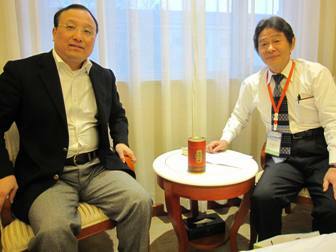 From March 23rd to 25th 2012, Mr. Kazuhisa Matsuoka, President of JICE/ Ms. Yukako Ooka, Country Officer of JICE JDS Project Office in the People’s Republic of China (hereinafter referred to as “China”)/ and Ms. Mari Nishimura, International Training Department of JICE, attended the Meeting for Overseas Training Project 2011 (held in Jinan City of Shandong Province) hosted by the State Administration of Foreign Experts Affairs (hereinafter referred to as “SAFEA”) of China. We promoted our achievements in the past and our ability as a planner in front of the Chinese groups who have the desire to go through trainings in Japan. As a result, we managed to exchange a letter of intent regarding the implementation of training for Jiangsu Academy of Agricultural Sciences with SAFEA. 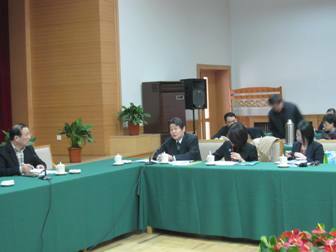 Hereafter, we will start making adjustments to design the training program for Jiangsu Academy of Agricultural Sciences. We also had a chance to reunite with Mr. Li Yue Min, the former Representative of International Human Resource Exchange Association of China in Tokyo (Deputy Manager of SAFEA of China at present), who played a role as a mediator between JICE and SAFEA. Mr. Li gave us various advices for the realization of the training program. Only groups approved by the SAFEA as “Organization for Overseas Training” are allowed to attend this meeting written above. 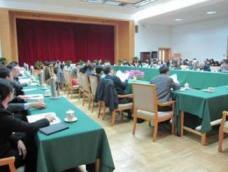 Since March 2010, Ms. Minako Ito, then Country Officer of JICE JDS Project Office in China, had been visiting the SAFEA to obtain the license. 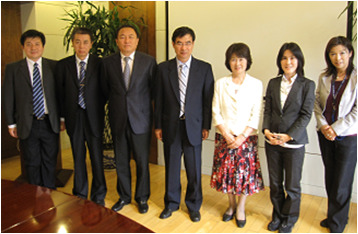 Mr. Li, the former representative of International Human Resource Exchange Association of China in Tokyo, which is related to SAFEA, came to JICE headquarter for a hearing, examined the application documents submitted by JICE, and also held a meeting with Mr. Kong, Vice President of SAFEA, and other parties involved, in September 2011. 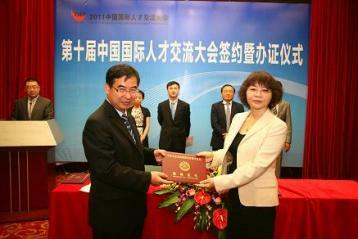 After all that process, JICE finally obtained the license for “Organization for Overseas Training” on November 4th 2011. Since we obtained the license, we have been formally recognized as an organization being in charge of the training programs filed by the Chinese Government through SAFEA. This certificate is only given to organizations that went through strict examination and require a substantial experience for training. 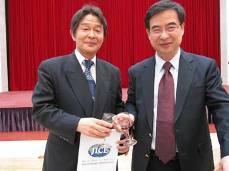 In Japan, only 16 organizations including JICE have obtained the license as of April 2012. Making full use of this license and our achievements in the past, we are determined to keep suggesting good training plans for the Chinese Government and the private sectors that would meet their needs, and we will work our way through to realize those plans in the future.